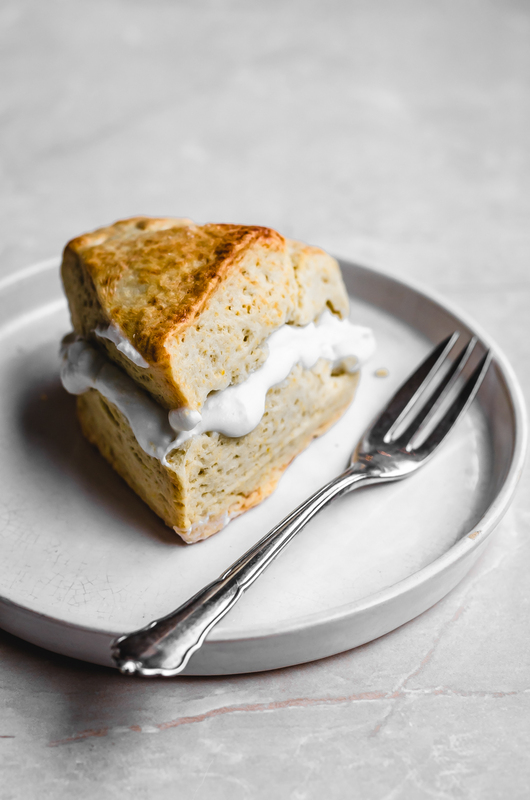 Vegan bergamot scones made with coconut cream and floral citrus. 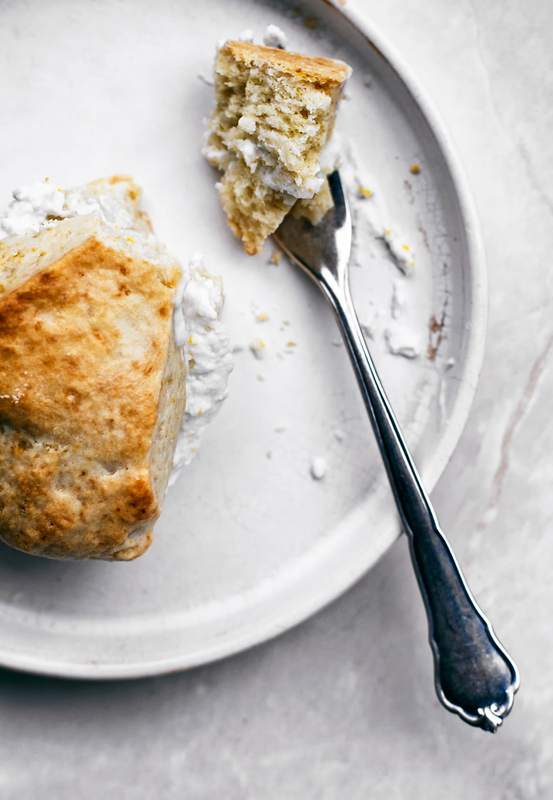 These healthier, rich cream scones can also be made with lemon or orange zest if you can’t find bergamot. You’re probably familiar with bergamot, even if you haven’t tasted it outside of earl grey tea before. It’s my favourite scent and I use it for everything from deodorant to soaps to yoga. It was a bit of a pleasant shock to find bergamot lemons at the grocery store a few days ago, and they were a touch pricey (over my 4€/kilo rule) but after scratching the skin on one I had to get a couple. It smells amazing. So I had these citrus fruits that I’ve been obsessed with for years, and then couldn’t decide what to make with them. Most of the recipes I found online were for marmalade and first of all, I only got two, and second, marmalade is the worst. 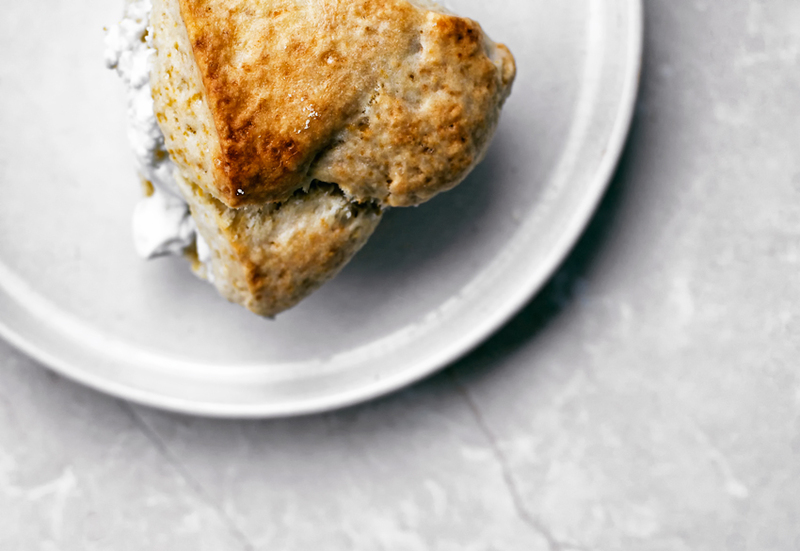 So when in doubt, scones, right? I ended up treating the bergamot like any other citrus fruit and using the rind in both the scones and a coconut cream to serve them with. It’s much more floral than other citrus fruits I’ve tried and tastes just as lovely as it smells – if you get the right variety! The type I got isn’t true bergamot, but actually citron beldi or bouserra lemon, a traditional Moroccan type that’s often used to make preserved lemons. The smell is distinctly similar to bergamot and according to David Leibovitz, readily available in France as well as Germany, and referred to as bergamot there as well. 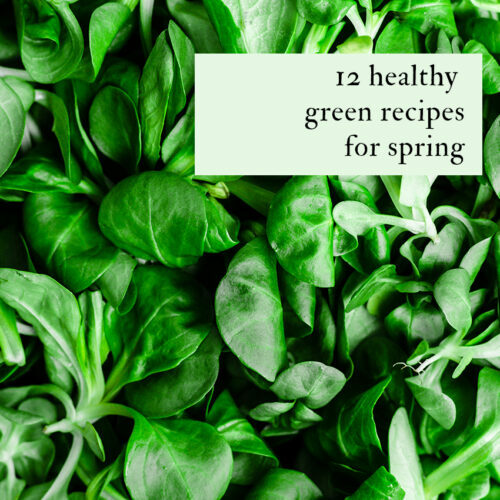 A true bergamot, which is green and has a very overwhelming flavour, can’t be used in this recipe. Don’t worry if you can’t find the specific variety I’m using here. 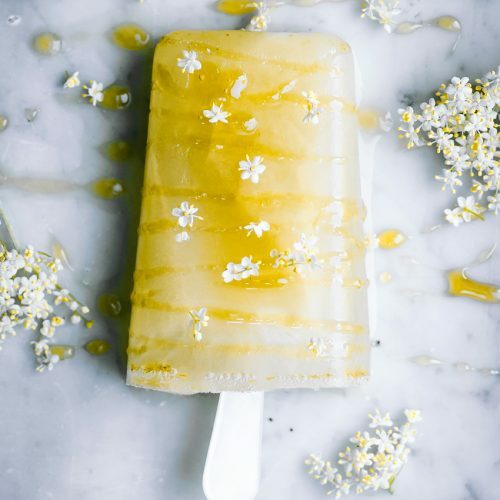 This recipe can be made with other types of lemons, or oranges. 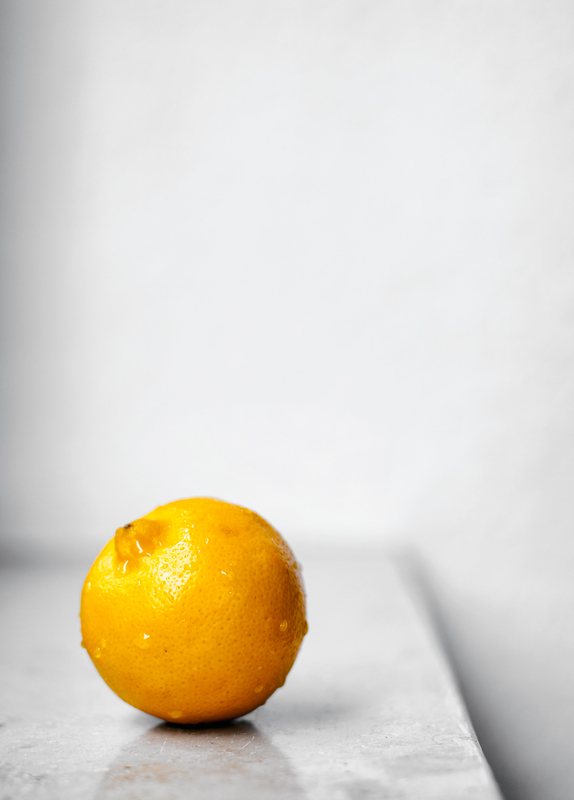 Meyer lemon might be equally good. The scones are “cream” scones as in they’re made with coconut cream and not the cow stuff. I’ve been trying, largely unsuccessfully, to make scones for the past few years without butter and cream (or margarine) and they haven’t been great. Until now. I was browsing Wallflower Kitchen a couple of weeks ago and saw that Aimee uses a lot more liquid in her scones than I had been, so I gave it a run with a lot more coconut milk than I usually add. They turned out so perfectly, you guys. Not too sweet, but rich and soft with a crispy outside. 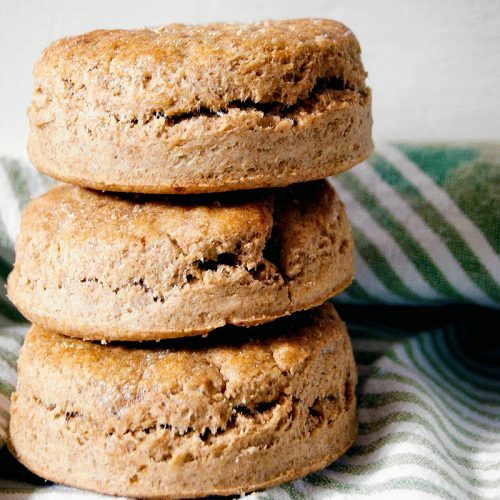 Spelt flour, coconut oil, and a little coconut sugar make a much healthier scone than usual, and they’re pretty easy to make – I use a food processor and don’t chill them. The only thing you really can’t skip is rolling and folding a couple of times. This helps with the layers and gives them some flakiness, but it doesn’t take long. I imagine you could make them without doing that but they won’t be as good, and I’m sure you can make them round, as well. Make sure you use organic and unsprayed fruits for this recipe and any others that you plan to use the rind. Apart from the issues associated with pesticides, you don’t want to ingest them or the waxes (often petroleum based) used on the outsides of conventionally grown lemons. 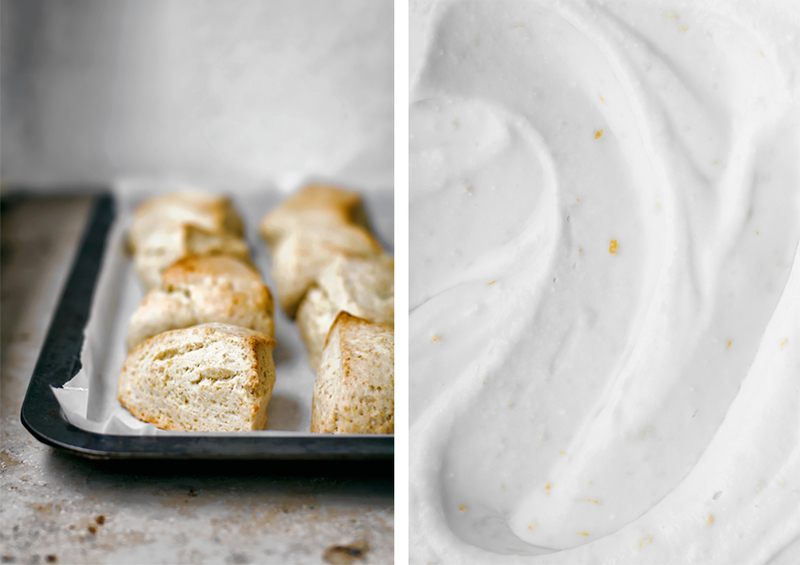 Vegan bergamot scones made with coconut cream and floral citrus. These healthier, rich cream scones can also be made with lemon or orange zest if you can't find bergamot. Preheat the oven to 190C / 375F and grease a large baking sheet with coconut oil. Place the flour, coconut sugar, baking powder, baking soda, vanilla, and salt into the bowl of a food processor fitted with the blade attachment. Mix until combined, then add the coconut oil and pulse until a sandy mixture forms. Whisk together the coconut milk, lemon juice, and zest. Add this to the flour mixture 1/4 cup** at a time, mixing briefly between each addition. The dough should be soft but not overly wet. Remove it from the processor, divide into two pieces, and shape each into a rough ball. Place the dough onto a flat surface and roll to about a 3cm thickness. Fold twice (to get four layers), roll again, and repeat a total of three times. Roll the dough out a final time to a 3cm thickness, shape into a circle with your hands, and cut in half. Cut each half into three triangles. Repeat for the second half of the dough, placing the triangles onto the prepared baking sheet. Brush the scones with a little coconut milk and bake the scones for 17-20 minutes, or until the tops are golden. Cool for a few minutes on the pan before removing and cooling fully on a rack. These are best the day they're made but still good on day two; any longer and they dry out. Place the coconut cream, honey, bergamot juice, and zest into a bowl. Whisk by hand for about a minute, or until smooth and creamy. Serve immediately or refrigerate for up to three days. The end result is quite tart and nice with the scones, but you can also use regular coconut whipped cream. 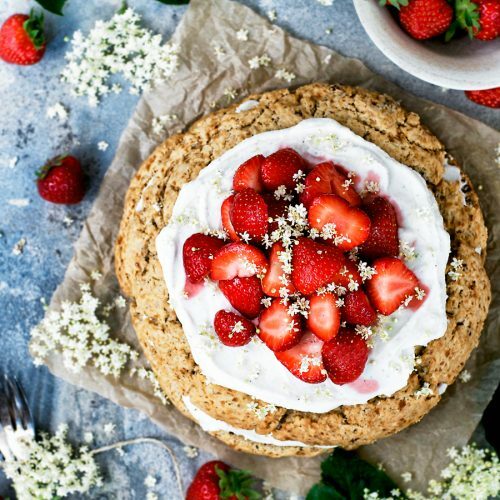 • This does make quite a large batch so if you're not big on the idea of eating your weight in scones within two days, you can halve the recipe. 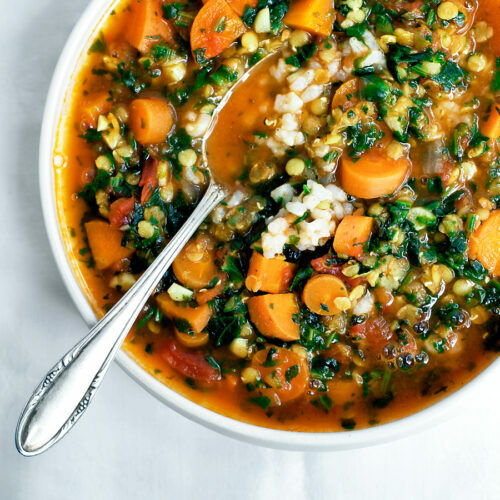 • You can, of course, make this without a food processor. Simply whisk the dry ingredients together, then add the coconut oil and rub it in with your fingers until it looks sandy. Stir in the cream and lemon with a wooden spoon and roll out as per the instructions above. • In my experience, you shouldn't need to flour the surface you roll the dough out on. If you're concerned then add just a sparse amount of flour so you don't dry out the dough. • The coconut milk wash helps slightly with browning and makes the outside a little more crisp, but they won't brown as much as they would if you used an egg wash.
* This is the coconut "cream" scooped from the top of a can of full-fat coconut milk. **After you've made them once, you don't have to add the milk slowly like this. Some of you may find the dough too wet if you add all the milk at once and may need slightly less (depending on the variety of flour and thickness of the cream) so it's good to go in batches the first time just in case. ***For the bergamot coconut cream, don't refrigerate the can beforehand unless your house is very warm. It's not a whipped cream, more of a loose lemon cream. Cookies and scones are my favorite baked good and a few days ago I made blood orange scones with spelt and almond flour, with a sweet blood orange glaze (recipe from 'Will Frolic for Food') – they were terrific! I want to make your bergamot scones as soon as the shop has these in store again, but, in the meantime – do you think I could use earl grey leaves that I pulverize in the coffee grinder to imitate the bergamot flavor? I've seen earl grey shortbread cookies (and I've made earl grey granola many times), so why not earl grey scones? I have no idea though how much I should use to get the right flavor. You wrote your grandmother has a Boskoop tree in the garden – I guess baked goods with apples must be her specialization : ) And, I have never been to Oldenburg – do you like it to live there? By the way, in your 'Banana Babka' post you write about aconitum – I must look into that because I also sometimes struggle a bit with it. I think it's beautiful that you share personal things in your post – it helps people with the same problems. Again my 'comment' has turned out more of a letter : ) Sorry about that. Just wanted to tell you I can't wait to make the scones! I love your comments, Yvonne! The blood orange scones sound wonderful, I love Will Frolic for Food as well. I did a little research and there are some scone recipes that use around a tablespoon of earl grey tea in them, so perhaps that's a good amount to try? I think it should work and the flavour should be nice, just like earl grey cookies or granola. Yes, the peanut butter cookies can be a little fiddly because coconut flour varies so much – and they're really not nearly as good without the chocolate! Haha well my omi doesn't really bake, but she does love apples! One of the only things she makes is a simple apple cake though so I suppose you're right 🙂 Oldenburg is very beautiful and a lovely small city to live in and visit. There's a very large downtown area that's pedestrians only and a nice central park, the Palace Gardens, as well as a rather nice botanical garden and some natural areas on the edges of the city. We're lucky to live in an apartment along the canal and there's a nice bicycle path that goes along the canal right into the countryside in just a few minutes, but we're also just a few minutes to walk to the downtown area. Yes! I've stopped taking St. John's Wort now but still take aconitum, and I know several others who take it as well. It really has been such a big help – I do take a high dosage but I'm sure you could ask your doctor or pharmacist about it. Here in Germany you just get it at the Apotheke but I've had the same tiny bottle for a couple of years now! I'm so happy to hear that, thank you. It means a lot! I hope you like the scones, and have a lovely weekend as well!